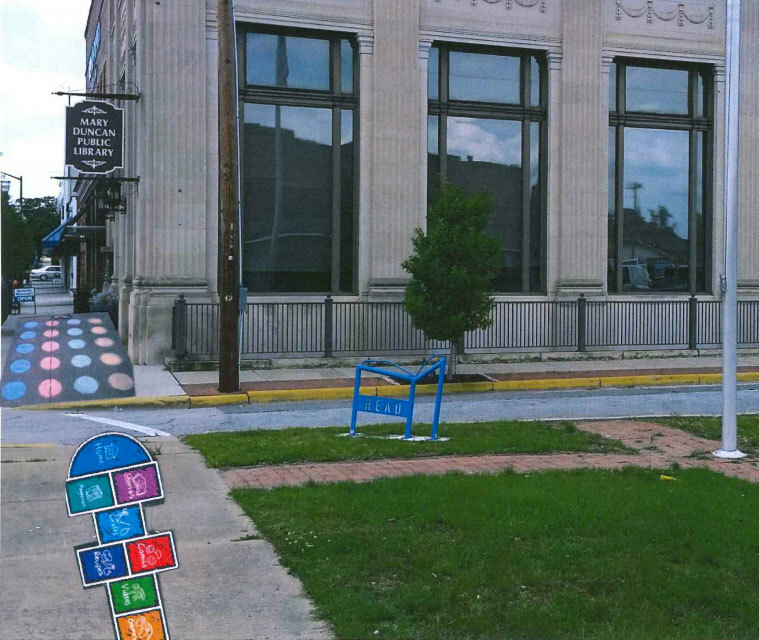 Playful additions come to the sidewalks and entrances outside Mary Duncan Public Library in Benson, North Carolina. Benson is a small town of approximately 3,500 residents, 43.8% of whom live below the poverty level. 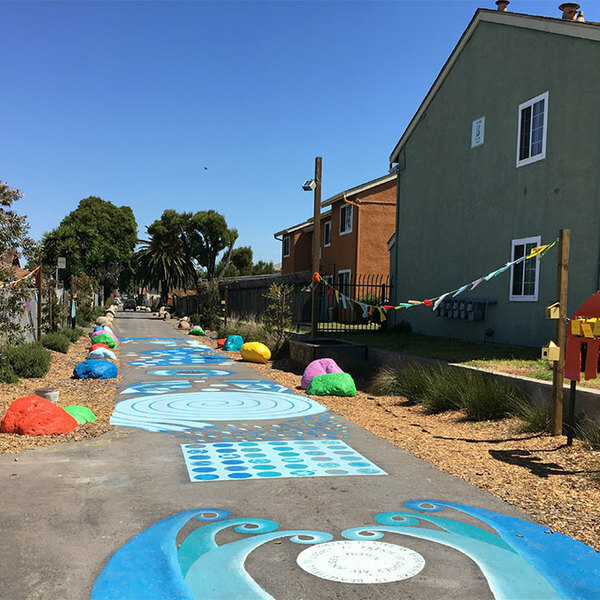 Sidewalk Playspaces is conveniently located near the library, which hosts free activities for its visitors and is accessible to many low income families. The sidewalk installations include hopscotch, the alphabet, number sets and hand and foot prints. The play panels located on the side of the library consist of a spelling panel and an interactive play panel. These colorful sidewalk paintings and interactive play equipment allow for play without having to go to a playground. Benson is committed to play and dedicated to making sure that any and all residents have the opportunity to participate. The library staff now hears kids outside singing the alphabet, counting, playing and laughing. 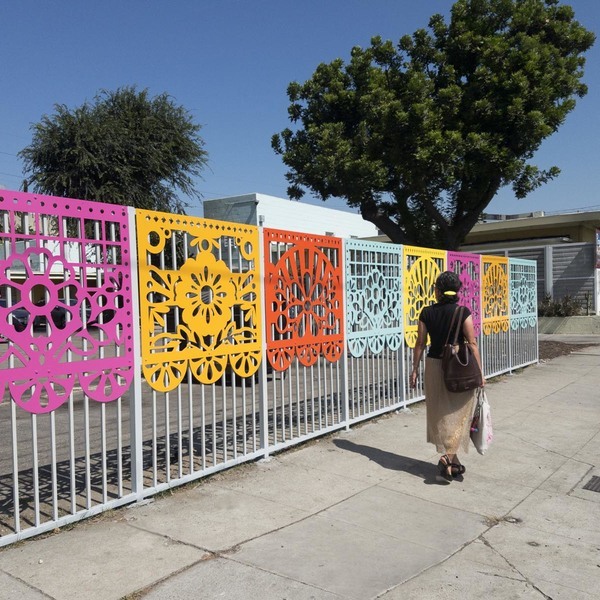 This project creates an oasis of fun in a corner of Proyecto Pastoral’s parking lot, bringing new life and color. 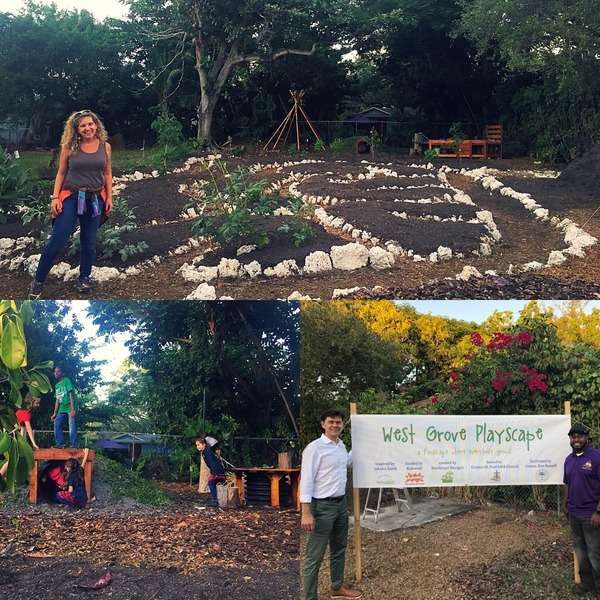 The Food Playscape projects offer a lush, nature-based oasis for families to play.